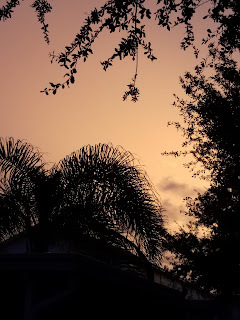 Well, I'm back "home" in Florida and have spent the past several days just relaxing and trying to get control of my hair with the higher humidity and that will take a while, a very long while. The dogs are very happy to be out of the truck. It is just a very long drive especially since I do it all in one day with no other drivers....yes one very long day, with very little sleep which is not a good combination, but we arrived safe and sound. Today it is also back to work. I stopped by the office yesterday just to see everyone and get the "first" day jitters out of the way. Just like going to school on the first day, well not really, I'm not riding the bus!! Welcome Home? or Welcome Back? or both! Any luck with the hair? Glad you made it home safe and sound. Take care of Ft M for us ;>). I can't imagine you having a bad hair day -- you just don't seem like the type. I highly recommend Pantene Pro-V Curl Shaper Anti-Frizz Creme.We will be in Venice for two months this year and I couldn't live without it.